Our luxurious, reliable and professional executive Montego Bay airport transfer service is one-of-a-kind that combines comfort and style together to deliver the most convenient way to travel from/to Montego Bay airport. Our Montego Bay Executive car services are suitable for 1-3 passengers with light luggage. Operating 7 days a week from/to Airport, Hotels, Villas, Cruise ship port, and private residence. For your convenience, we are located inside airport terminal away from the masses. From 1 to 3 persons: $175 USD per vehicle, per way. From 1 to 3 persons: $120 USD per vehicle, per way. From 1 to 3 persons: $200 USD per vehicle, per way. From 1 to 3 persons: $85 USD per vehicle, per way. From 1 to 3 persons: $95 USD per vehicle, per way. Great experience, loved our driver will be returning to this company based on how friendly and knowledgeable he was.. Vincent was his name and if anyone can request , I would request him. Appreciate your company and will definitely be using your services again. We were quite happy with our transfers. Drivers were courteous and professional. Cars were clean. We did not have a wait when we arrived, and our transfer back to the airport was on time. Services were great, our driver was awesome. We had a great experience with your company. Driver was excellent and very knowledgeable of the area and Jamaica as a whole. Our trip went fine. Prompt and very professional service. Our driver was friendly and the cold red stripe was perfect. Our driver was very pleasant. We were walked form the desk out to the car, and Paul took over from there. He gave a great introduction to Jamaica in general and to the tourist areas. We felt very safe with his driving. He was right on time to pick us up for the trip back to the airport, and it was great to see his familiar face. I wholeheartedly recommend our driver and Jaital. The experience with was great. Our driver was friendly and helpful. We used him several times during our stay and everytime he was top notch. Everything was great, our Driver was very professional. Looking forward to the return trip to the airport. Our trip was excellent and it started out great with our very relaxing drive to the resort. The driver was great. My wife even commented on how he knew how to make it a smooth ride by dodging the potholes. My husband and I were very well pleased with the service we received. 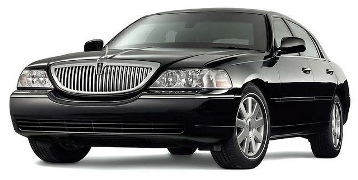 The driver was professional, friendly, on time, and personable. We look forward to using your service again on the next visit to the lovely island of Jamaica. he driver was fantastic. I wish i could remember his name now, but he did a great job. He was very punctual on our return to the airport and was a lot of fun to talk with on both legs of the trip. Thank you for a flawless transfer between the airport and our resort. Our driver and the rest of your staff were very professional, friendly, and on time. We will use your company again the next time we are in Jamaica. Our experience was great and the driver really nice. We would recommend your service. We had a great service and great driver! Finding you at the airport was easy and the young lady was pleasant, courteous, and efficient. The experience with Jatial was great. The car was ready when we arrived in Montego Bay and the driver was on time for pick up at our location when our vacation time was over and had us at the airport in plenty of time so we did not have to rush. When we go back to visit Jamaica we will with out question use Jatial for our transportation services. We had a great experience with Kevin. We would definitely recommend your company. My transportation experience was good. All went well. Pick up was prompt. Driver was courteous and vehicle was in an immaculate condition. Will use your service again! Prompt pick up, excellent service, comfortable ride, superb time in Jamaica....Thanks Jaital!! Will definitely reccommend to anyone visiting JAMAICA and book again... Yeah mon! Our pick up at the airport was quick...Excellent car to our hotel. Our driver was very polite and knowledgeable. Thank you! Great service, clean car and a nice driver! Excellent! Our transportation from the airport to our hotel was well organized. We felt very safe and our driver was very friendly. We were lucky to have the same driver for our return transfer and he made us happy a second time. Will definitely use your service again. We had a wonderful experience with our driver. He was prompt and very friendly. He offered service with a smile. Will use your service if i should visit Jamaica. We had a wonderful time during our visit in Jamaica including transportation service your company provided. The driver, I believe his name was Kirk, was already waiting for us at the airport. He was very nice during driving to the resort, taking about the island and answering all the questions. He also arrived on time to the resort to pick us up after vacation and droping us at the Montego bay airport. Thank you very much for a great service.